Have you heard all the rage about paella in the Naples area? Do you want to know how you can be part of the excitement while making sure your experience is authentic? 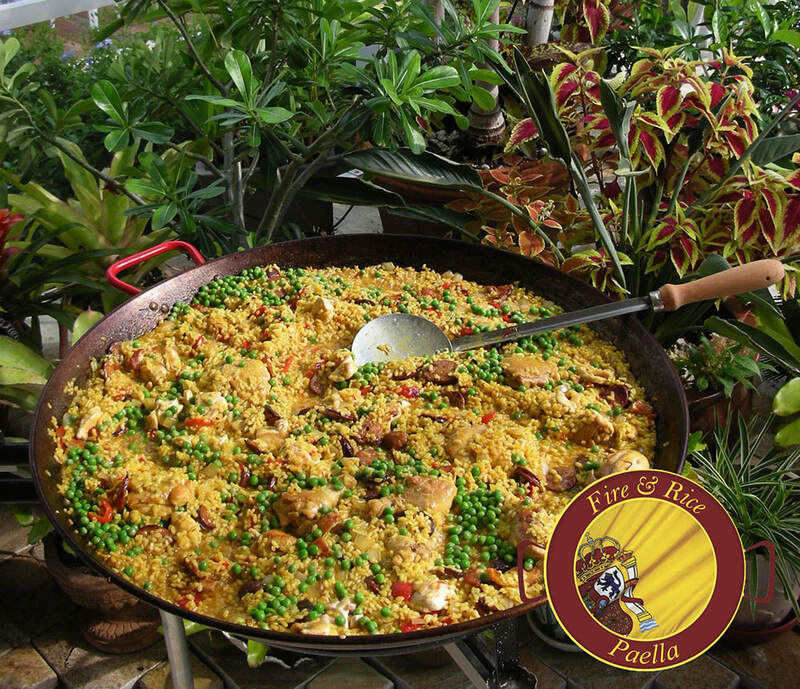 Fire & Rice has been bringing authentic, original paella to the city of Naples and Southwest Florida for nearly a decade. 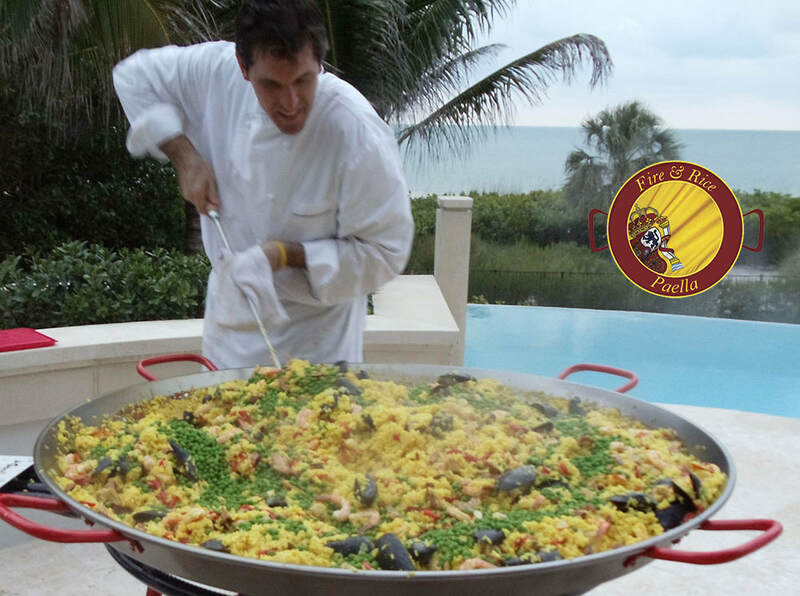 Our original paella is amazing, and our Fire & Rice team brings energy, fun, and excitement wherever we go, whether it’s the Farmers’ Market in Naples or Marco Island, or your next catered event. Come and join us in the ultimate, authentic paella experience! At Fire & Rice in Naples, we want you to delight in the paella experience, the process, and the concept of food sharing and bringing people together. Our award-winning paella is exquisite, like nothing you’ve ever tasted, and our team brings a special energy to every part of the process, making the experience fun and exciting and exceeding all expectations. 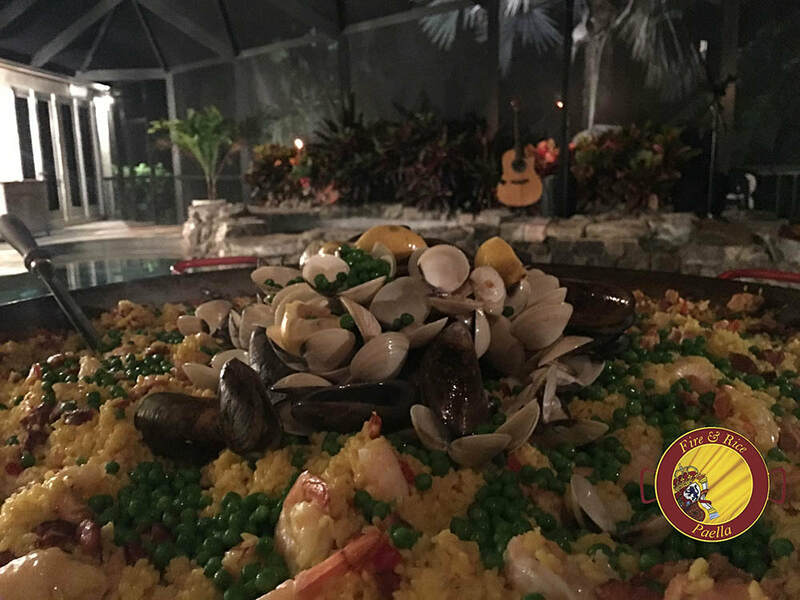 Many of our clients have traveled all over the world and say our paella is the best they’ve ever tasted, and we want to share it with you as well. While some may say that imitation is the best form of flattery, we don’t think that’s the case when people expect one thing and get another. Because there are copycats in the Naples’ Area pretending to Fire & Rice, we want to make you aware of the situation. We know you put a lot of time and thought into planning your parties and events, and we don’t want you to get stuck with a caterer who’s not authentic as it will only be disappointing. If you come to the Farmers’ Markets in Naples and Marco Island, you’ll see our truck, our tent, and customers lining up for our magnificent paella! No other individual or team is affiliated with Fire & Rice or used to work for our company. If you’re searching for paella catering services online, make sure you’re calling Fire & Rice – look for our phone number or just ask – and if there’s any kind of run-around, it’s not us! Paella from Fire & Rice is original, and we mean that in every sense of the word. Made with only the finest ingredients, our paella is created through a traditional process dating back to 16th-century Spain. Perfected many centuries ago, Fire & Rice takes the process seriously and creates our paella with passion and enthusiasm. Chef Paul Schmidgall, owner of Fire & Rice and a graduate of the College of Culinary Arts at Johnston & Wales University, learned the traditional process of paella from an elderly woman when he was in the US Airforce and visited the Spanish Island of Menorca. The experience was so inspiring and the paella so divine that it determined his future path: to bring original paella to Naples, Florida and beyond. Because of that authentic experience, you can now enjoy incredible Fire & Rice paella in Naples and other locations around the country!